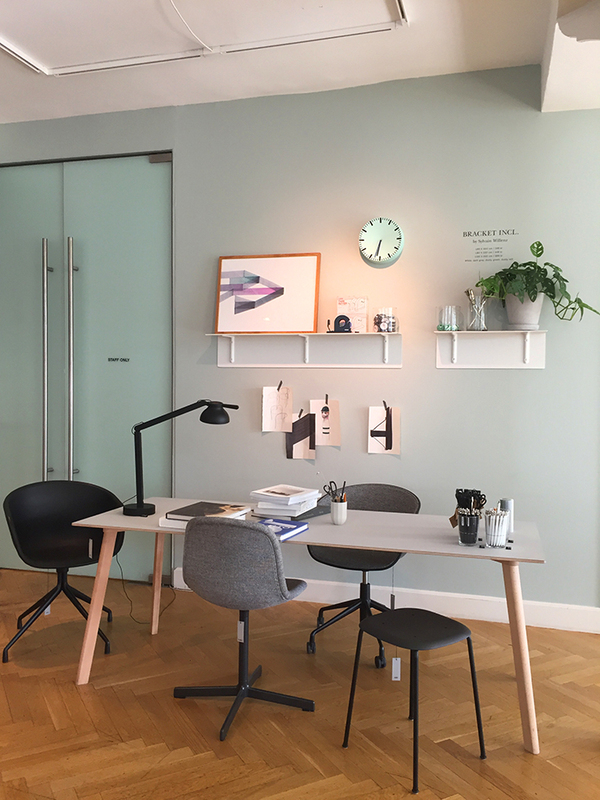 HAY is one of Denmark’s most reputable furniture brands, known for creating contemporary, sophisticated furniture at relatively affordable prices. Unlike most “fast” brands that have standard or trendy designs, HAY partners up with designers to create original pieces that are timeless and versatile. 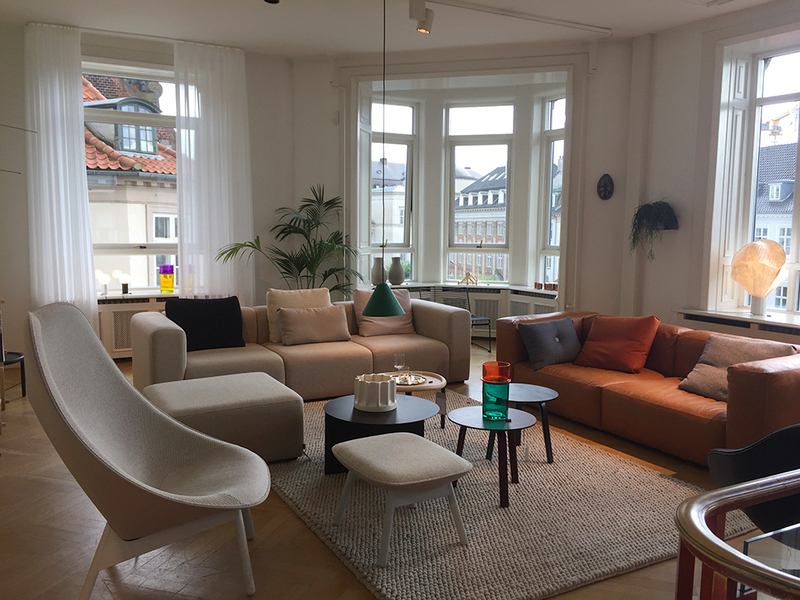 Because I’m a big fan of HAY, I was intrigued to go to the HAY House after reading about their stylish showroom in Copenhagen. 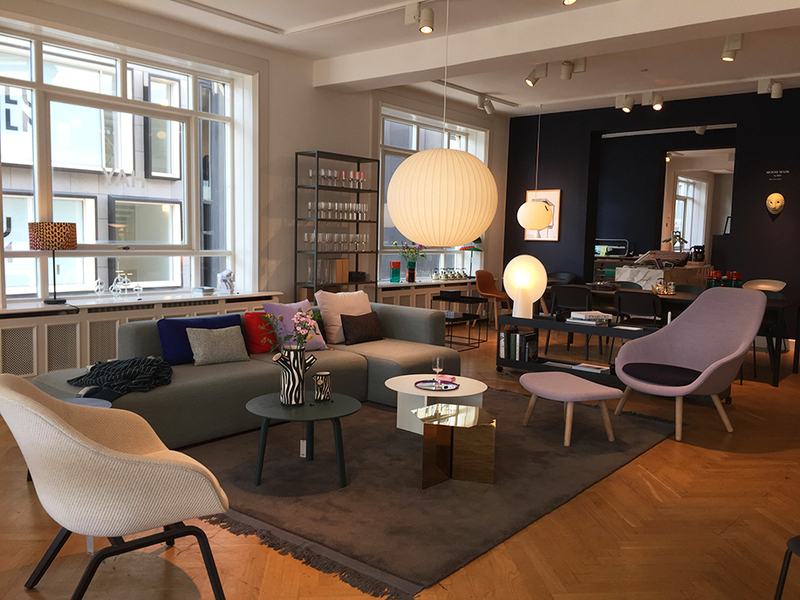 Conveniently situated in Indre By, the “Inner City”, the store is located in the second and third floors of a building in Østergade. What appealed to me about the HAY House is its setup. The main space was set to look like an apartment building, with a staircase in the “living room” to bring guests up to the third floor. 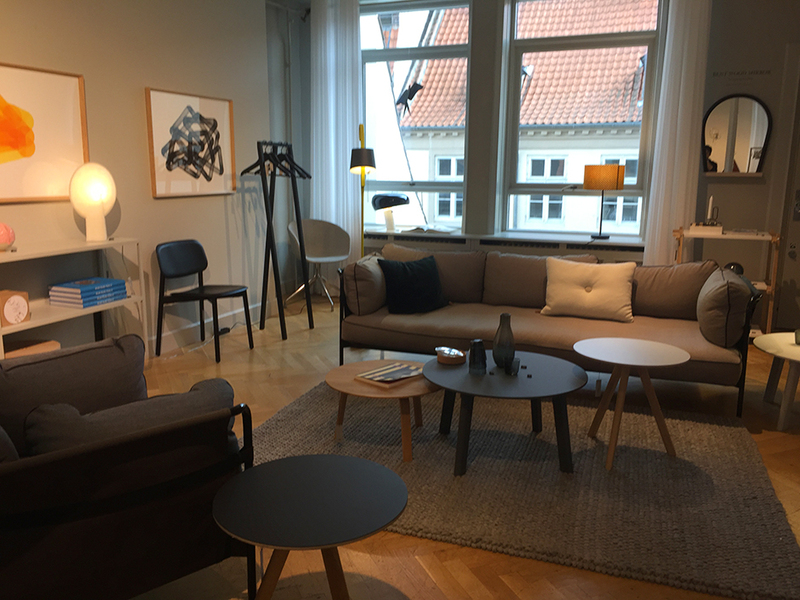 It was also very interactive since visitors are allowed to use the furniture and hold them, giving them the feel of actually living in the “apartment” and owning the furniture. The second floor was set like a realistic living room, with couches, small tables, a rug, and a television on one end; while a long dining table with individual seats and a lamp was situated across the other end of the room. In the second floor, there were two “living rooms” which catered to two different tastes. 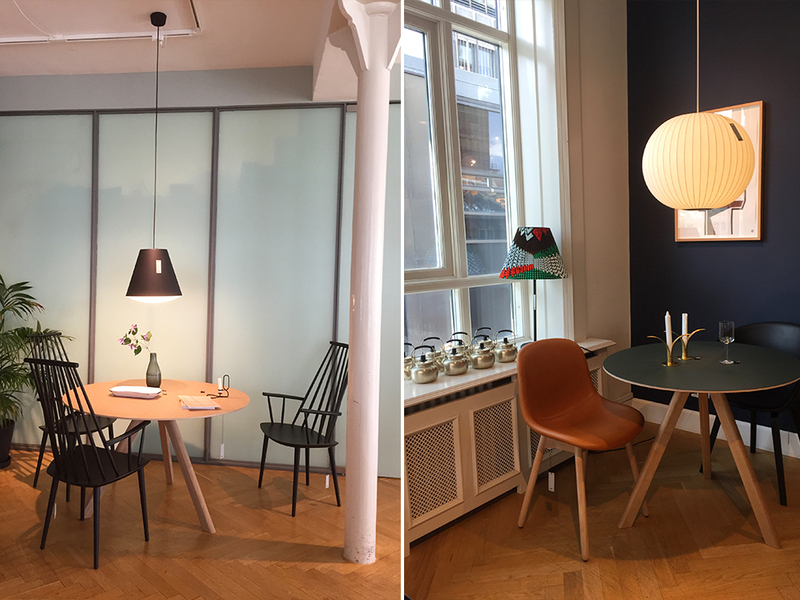 One consisted of furniture mostly in light neutral shades of white and grey, while the other one was a subtle contrast containing furniture with dark shades of blue. The third floor contained three more “living rooms.” Two of them had touches of subdued colours – the first has a plum seat and a red pillow; the second had an orange couch and a green lamp; while the third was a darker version of the first living room on the second floor with dark grey furniture dominating the space. Living Room on the 3rd Floor with a plum seat and a red pillow. Living Room on the 3rd Floor with an orange couch and a green lamp. 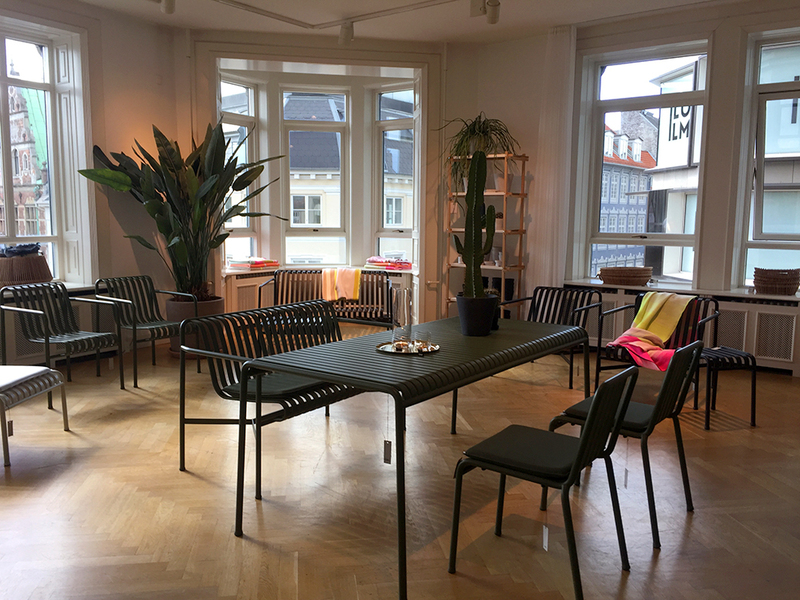 The third floor also had an area that looked like an indoor veranda with green, metallic tables and chairs, as well as cacti and indoor plants to make the space seem more realistic. There were also small corners used to mimic an office and two dining areas. The dining areas consisted of small, round tables, to exemplify the use of minimal spaces for those living in small apartments. There was only one “bedroom” in the showroom and it was a small one, consisting of one bed, a seat, and a lamp. Interestingly, they used a small chair as a substitute for the conventional bedside table. 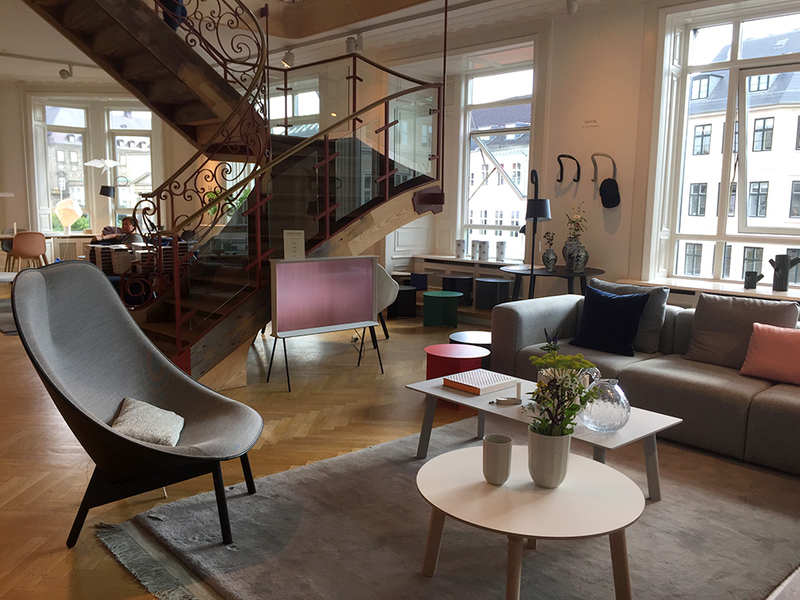 Despite the furniture being displayed all over the place, the showroom never looked cluttered, in fact it added character to the space. 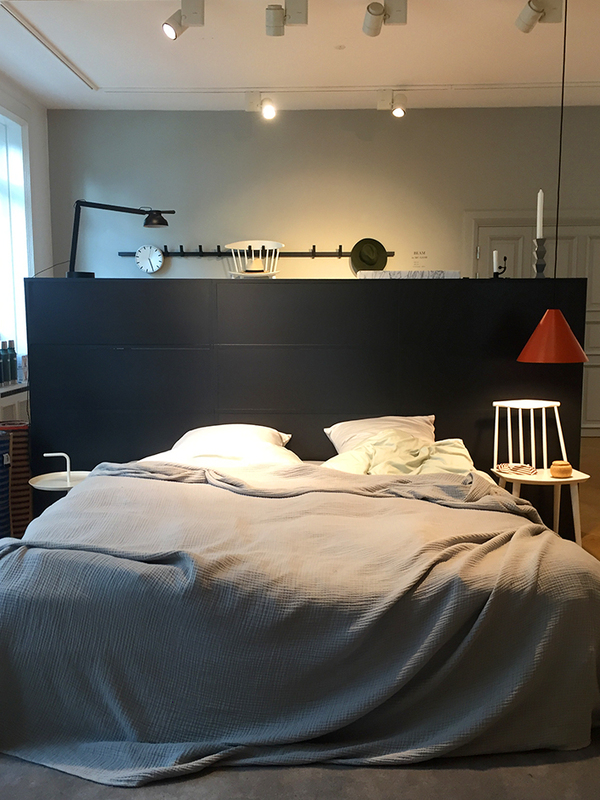 It was neither maximal nor minimal, something Swedes would call lagom (in balance); and it was cozy and inviting instead of being sterile and too formal, which could be described in Danish and Norwegian as hygge. 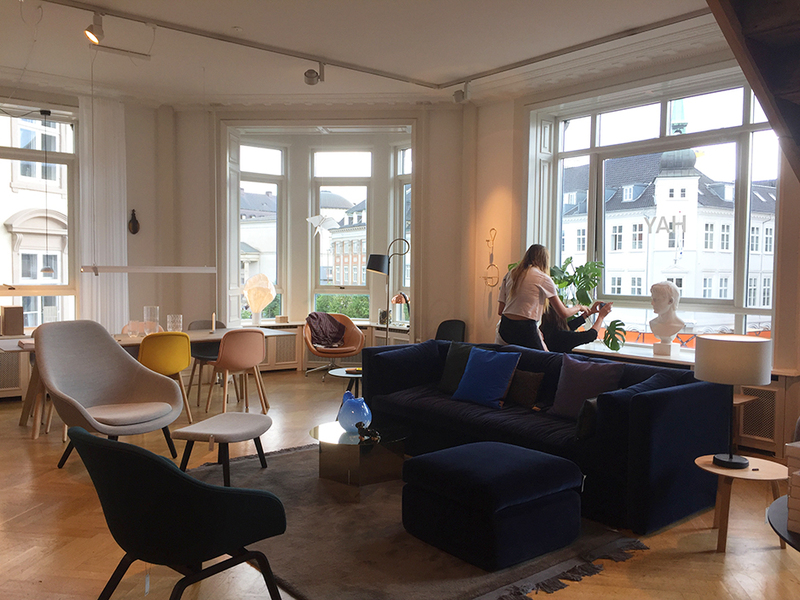 The showroom is a classic example of the “Scandinavian aesthetic,” and it’s an interesting place to go to if you want some inspiration on how to style your home.